As kids and adults alike continue to be plagued by peanut allergies, it can be difficult to stay on top of dietary restrictions. Oftentimes, people are exposed to peanuts accidentally, and while cases range in severity, avoiding flare-ups -- and peanuts -- is of the utmost importance. However, though the longstanding belief was that those with an allergy should steer clear of peanuts at all costs, a new study shows that slowly introducing peanuts to build up a tolerance could actually benefit someone who is accidentally exposed. The researchers are confident in the results the study produced and are now waiting on the Food and Drug Administration (FDA) to review it and make it a formal treatment option. “We’re excited about the potential to help children and adolescents with peanut allergies protect themselves against accidentally eating a food with peanuts in it,” said Dr. Stephen Tilles. The researchers wanted to see if the study participants would be able to handle minimal exposure to peanuts by slowly introducing them into the participants’ diets over the course of the study. Two-thirds of the group received peanut protein in increasing doses until they reached one peanut per day, while the remaining one-third received a placebo. The study was the largest and most thorough investigation of its kind, and the researchers were pleased with the results. All but 20 percent of participants were able to handle being exposed to one peanut per day, and one-third of the participants made it through the study with just mild side effects. Though the results were promising, the researchers do warn that those suffering from peanut allergies shouldn’t try eating a whole jar of peanut butter anytime soon. However, following this treatment option may make day-to-day life easier -- particularly when faced with accidental exposure. If the FDA approves the method, the treatment will be available only by prescription for qualifying patients. Keeping children peanut-free can often be a difficult task for many parents, and in recent years, there have been several new methods on the market to help reduce peanut allergies. A few years ago, researchers discovered a wearable skin patch -- the “Viaskin” patch -- that works to slowly build a peanut tolerance. 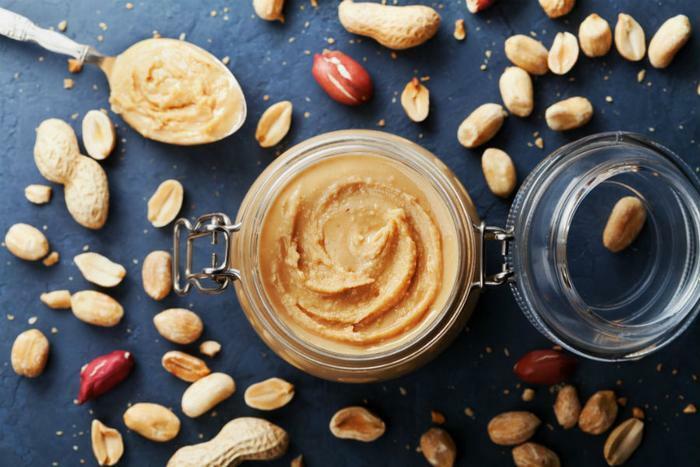 Much like this most recent study, the researchers found that introducing peanut protein into the skin in small doses was an effective way to treat the allergy. The patch proved to be easy for children to wear and use, and it comes in either a high dose or a low dose. The study found that the patch was successful in 48 percent of the high-dose group and 46 percent of the low-dose group. A similar approach was approved by the FDA late last year. Hello, Peanut introduced a product that is beneficial for parents who are looking to slowly introduce peanuts into their infants’ diets. The product comes with eight packets of powdered organic peanut and sprouted oat mixtures, and it has been touted as a safe way for parents to mix the powder into a food they know the baby can eat without a reaction to see if there is an allergic reaction. Researchers found that introducing peanuts to infants in this way reduced the risk of developing a peanut allergy. Southwest Airlines took the initiative to no longer serve passengers free peanuts while in the air. The change went into effect on August 1st, and the airline joins one of several who have made the choice to reduce the risk of a peanut allergy while at 30,000 feet. Passengers will still receive pretzels, and on longer flights, there will be a greater variety of snacks to choose from.